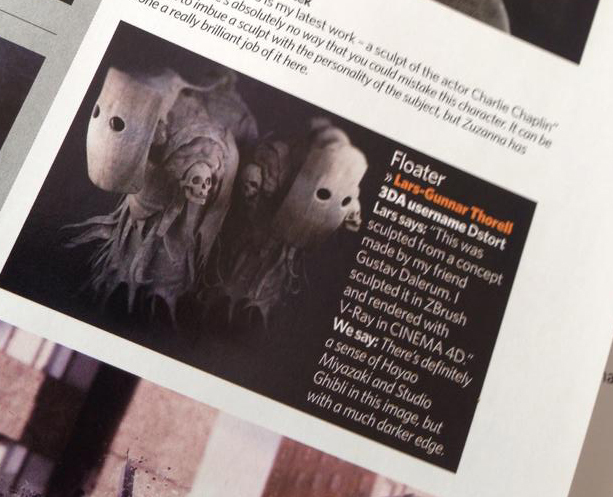 I just would like to mention that I was featured in the latest 3DArtist issue, why this is worth mentioning is partly because it made me very happy, but also – you don’t really get a notifcation when this happens. Probably you get notified if you are about to get on the first page, or another bigger entry, since they usually have quotes specific for the release (I’m guessing). This was very fun and shocking, in a good way, when I bought the magazine today and was just reading. Suddenly I see my own image, that was unreal.